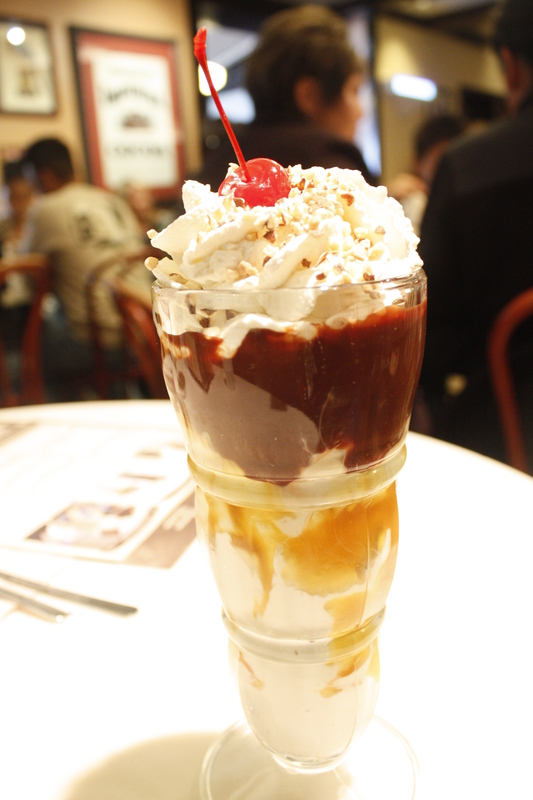 We have had the Ghirardelli Mint Bliss sundae at Ghirardelli Square. The gigantic sundae had one scoop each of mint chip ice cream and chocolate ice cream, topped with freshly homemade dark chocolate hot fudge, whipped cream and an intense dark midnight reverie chocolate before and recall being so full of ice cream and fudge we swore we would not be returning. 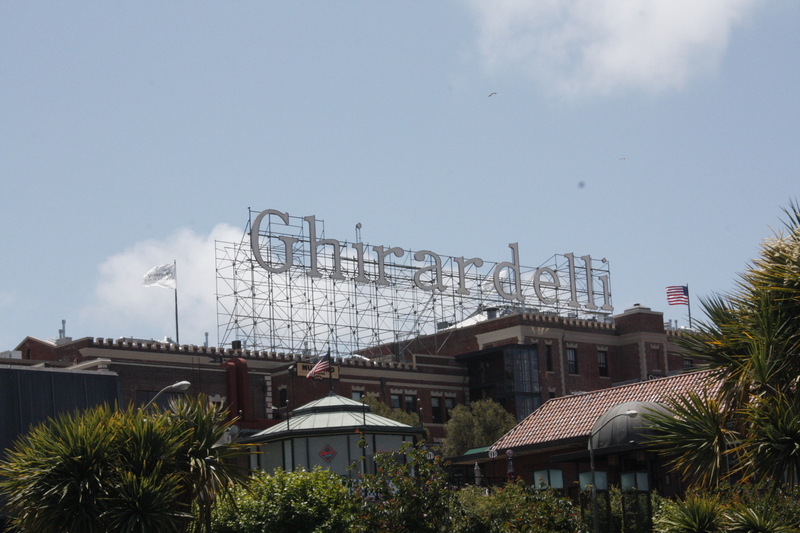 Oh how memory fades and we returned to Ghirardelli again. 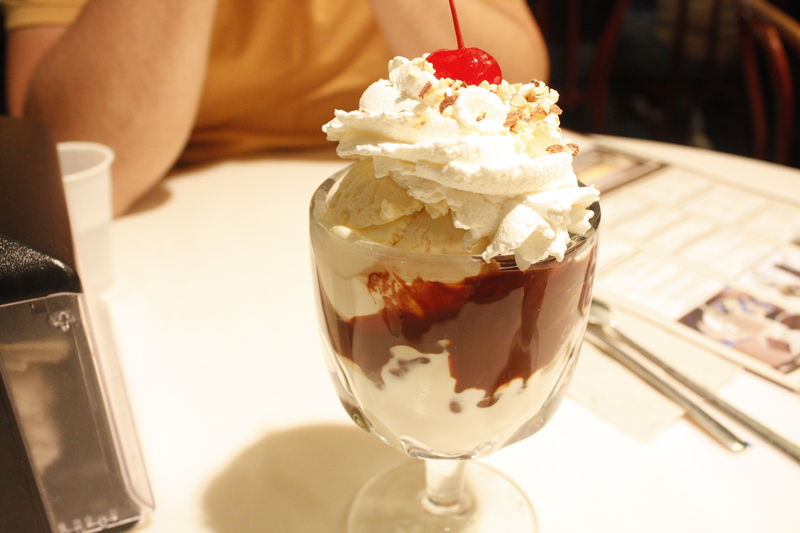 The Hot Fudge Sundae had two scoops of vanilla ice cream overflowing with homemade hot fudge, whipped cream, chopped almonds and a cherry ($8.95). The sundae was overly indulgent, full of fudge and after 6 bites and a quarter of a way through the dish, felt stuffed. We had to try the Strike It Rich Butterscotch Hot Fudge Sundae with butter pecan ice cream with butterscotch and golden almond nuggets, under a layer of vanilla ice cream, our freshly homemade hot fudge, whipped cream, chopped almonds and a cherry ($8.95). 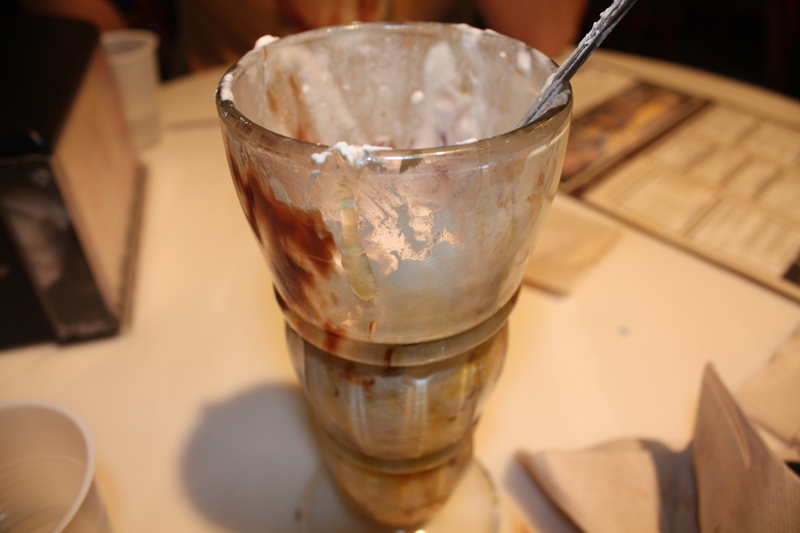 The sweetness of the butterscotch and hot fudge combination was super sweet and completely ice cream heaven. However, after several bites, we needed to take a break, drink some whatever and gain second wind. Done and done. 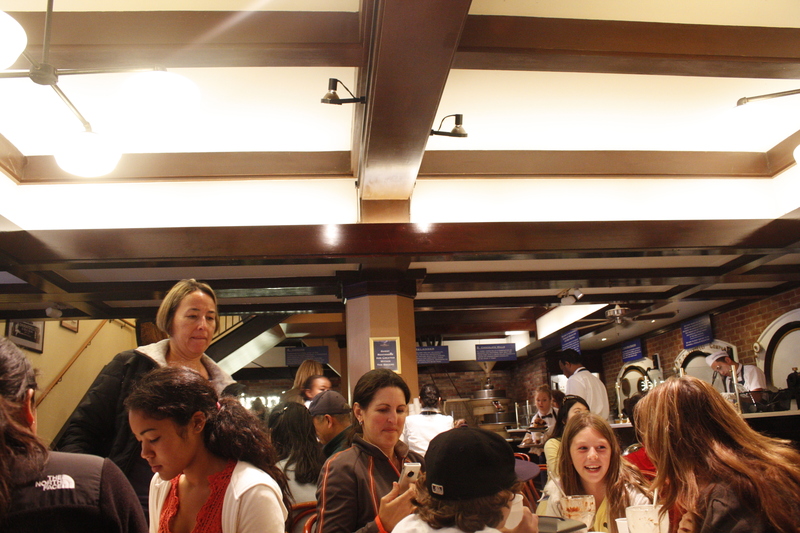 Happy, but feeling gluttonous, too full and swearing off Ghirardelli for another year.